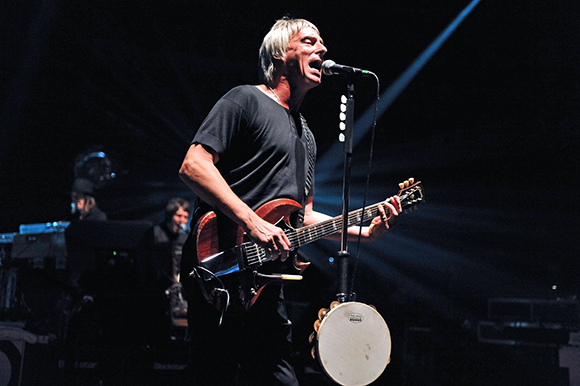 One of the most humble and down to earth artists on the entire music scene is the English singer/songwriter – Paul Weller and he's coming LIVE to North America this coming Fall! Get ready to catch his beautiful and influential music as he brings it to the stage at The Wiltern on Friday 27th October 2017! Tickets won't be on sale for long – so book yours while you still have the chance and make a trip down to the venue, you won't be disappointed! With songs such as "You Do Something To Me" – he will make your heart melt and lively up yourself too! "PUT yourself in Paul Weller's undeniably stylish shoes for a minute,You have a career spanning over 40 years, a back catalogue the envy of most songwriters and you are a role model for countless thousands upon thousands of fans for whom your music has been the soundtrack of their lives. It would be all too easy to sit back, rest on those well deserved laurels and just milk the affection which is tangible at every live show. But that is simply not Weller's way – he simply delivered."